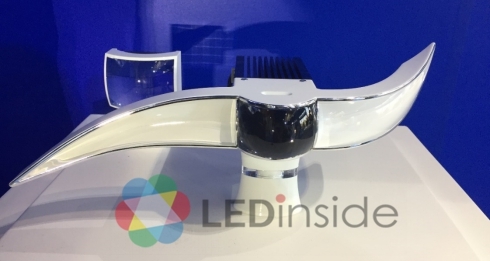 Home > Show Report > 2018 ALE Show Report- ADB Intelligence LED Headlamp Arise, Making Local Manufacturers Positively Arra.. 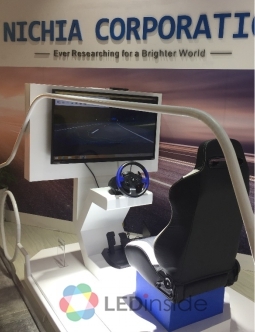 The fourth ALE have been holding in Shanghai Automobile Exhibition Center from 2018 March 28 to 29. 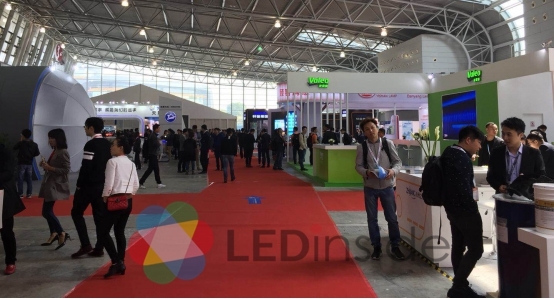 According to LEDinside survey, there have been around 180 manufacturers, including Driver IC, LED package, module and automotive lamp manufacturers, etc. The show mainly focuses on the industry chain of original equipment automotive lighting. Many well-known international companies, such as Texas Instruments, OSRAM, Lumileds, Nichia, Seoul Semiconductor, Dominant, Hella and Valeo and Taiwanese companies, such as Lite-on Technology, Btightek, Lextar and Marcoblock and Chinese companies, such as Honglitronic, Sunpuled, Yuliang LED, Xingyu, Tianchong and Jiangsu Wenguang have took part in this show. 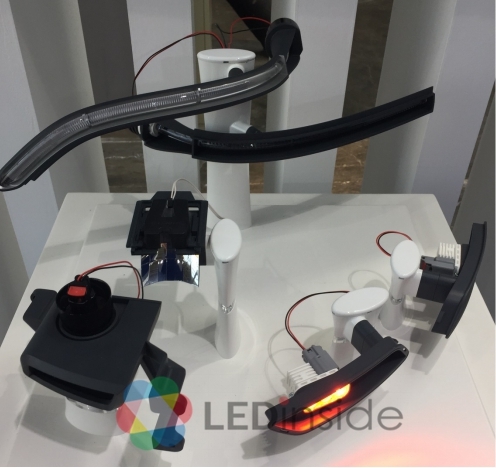 Due to the Concept of Smart Vehicle, ADB Intelligent LED Headlamp System Grows Rapidly. Because of the rising penetration of LED component and the popularization of smart vehicle concept, numerous of manufacturers released LED vehicle lamps with ADB systems. Combining with CCD camera, the system can detect other vehicles or obstacles and control LED to form shadow areas to prevent glare. 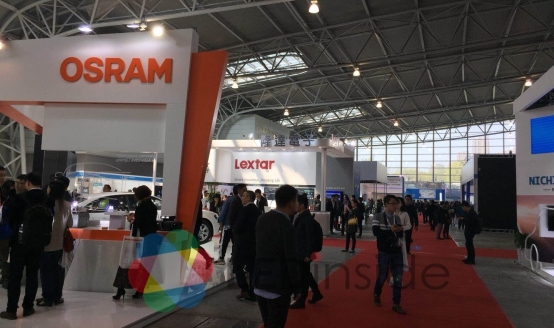 Osram has exhibited lots of ADB modules, lamps and μAFS vehicle lamp made by single high pixel LED. Lumileds has exhibited various ADB and matrix headlamps products. Also, mass production has been done for most of them. 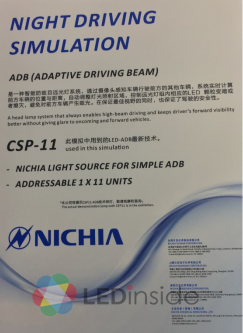 Nichia has exhibited ADB solution which uses 1*11 LED. Lextar has released matrix LED headlamps with CCD sensing system which uses 64 LED. 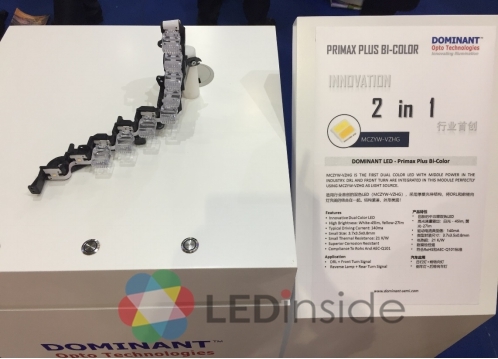 Dominant is developing ADB & AFS automotive LED products and has exhibited high luminance LED for headlamp and dual-color LED for daytime running lamp and direction lamp. 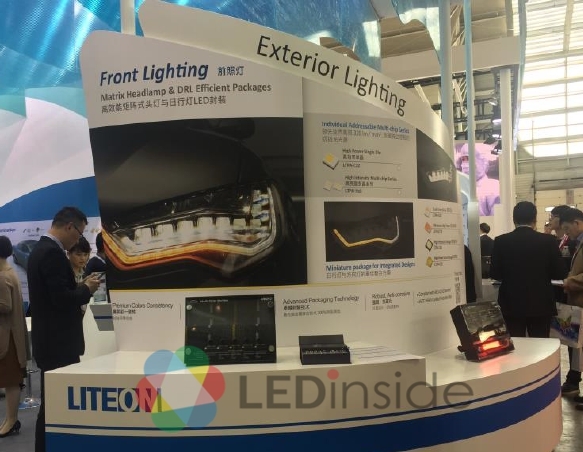 Lite-on Technology has exhibited high efficiency matrix LED headlamp and daytime running lamp LED, both of which adopt multiple chip package and every chip is driven respectively. 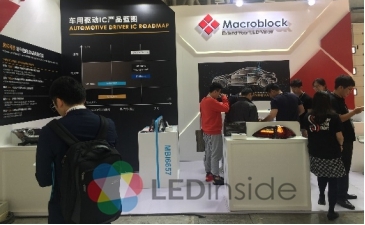 For driver solution, Macroblock has exhibited some driver products, some of which have high dimming resolution, external MOSFET or be able to adjust voltage automatically. There are following advantages if high beam light and low beam light adopt Macroblock MB16671 driver chip: circuit design is easier and more flexible; chip can boost and reduce voltage; owing to external MOSFET, heat dissipation efficiency rises. Daytime running light and direction indicator use driver chip MBI1841. MBI1841 is an 8-access linear with constant current driver. Current in each access can reach 150mA and parallel to enlarge current. 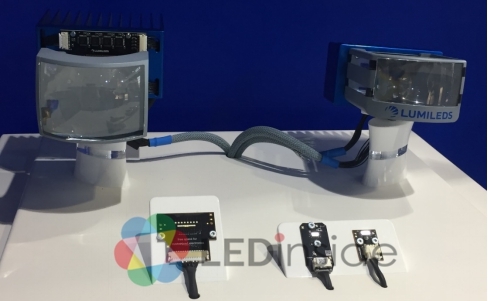 Besides, to reduce human resource cost for driver design in automobile lamp module company, MBI1841 embeds numerous of lightening mode, which doesn’t need any program design. Compared to current practice, it only needs to set up through outer resistance to achieve expected result. 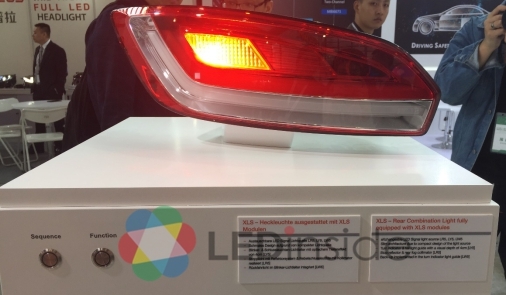 Hella has exhibited matrix LED headlamp for Audi A8. 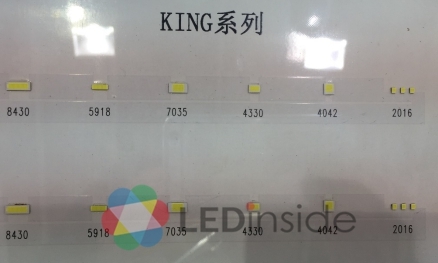 RGB LED with IC embedded applying in inner decorating lamp starts to spring up. 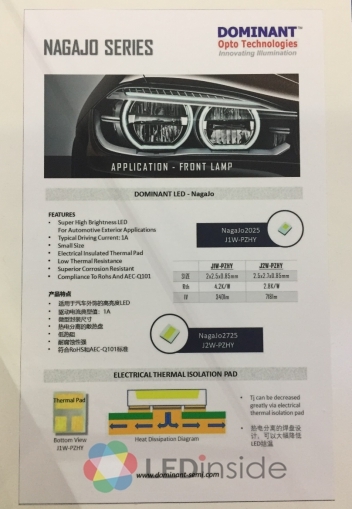 In addition to intelligence application for headlamp, RGB with unitized deign IC applying in in-car ambiance lamp also becomes innovation trend. 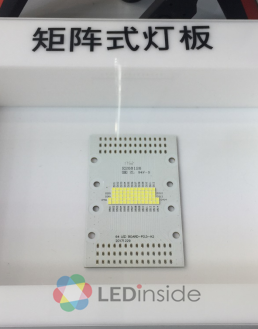 Through packaging IC directly into LED, it can lessen manufacture procedures and miniaturize volume of products. 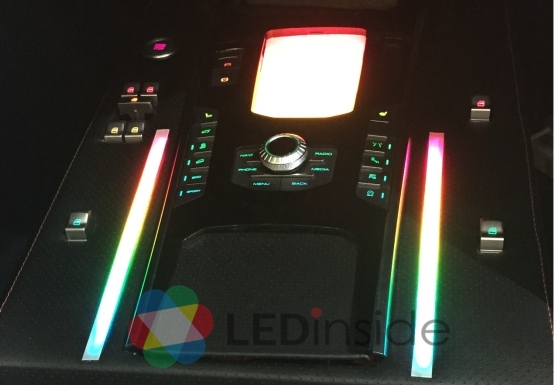 Apart from in-car applications, since autonomous vehicles have developed, it can apply in external decoration lighting to demonstrate vehicle mode. Dominant has exhibited SmartRGB product which can support control softwares, such as NXP, TE, LucieLabs, etc. It will be released in 4Q18. Brightek has released iCLed series, improving LED color levels up to 256-8192 and even 65536, enhancing the diversity of color application. Acceptability of standardization LED bulb and module application rises. 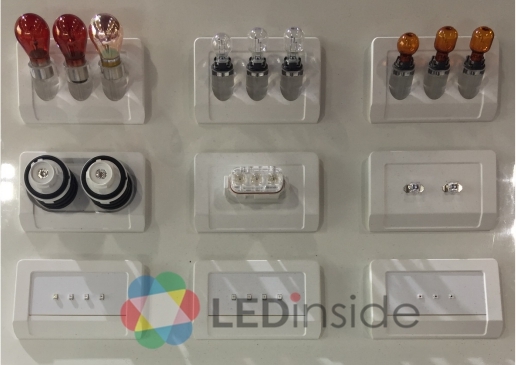 Compared to customized product, standard LED bulb and module application can simplify design in original equipment market, shorten assembling time and decrease cost of use and maintenance. In the meantime, standardization interface is convenient for product popularization. The acceptability that A level car uses this type of product is rising. 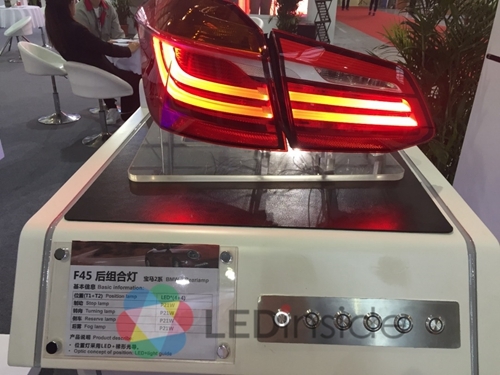 Lumileds has exhibited numerous standardization bulb and module, including brake light, back light, front and back fog lamp, daytime running lamp and high and low beam light. Oaram has exhibited standardization bulb for tail lamp. Local manufacturers actively arrange automobile lamp industry chain. 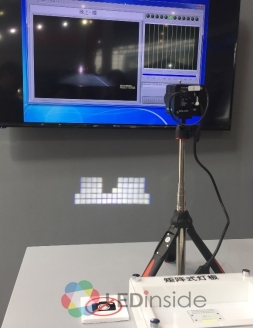 Honglitronic has entered in original equipment market for two years and shows PLCC4 and PLCC6 series, mainly for brake light and direction lamp, etc. Sunpuled has involved in the supply chain of grouped tail lamp and high-position brake light for whole vehicle and shows LED for KING series headlight. 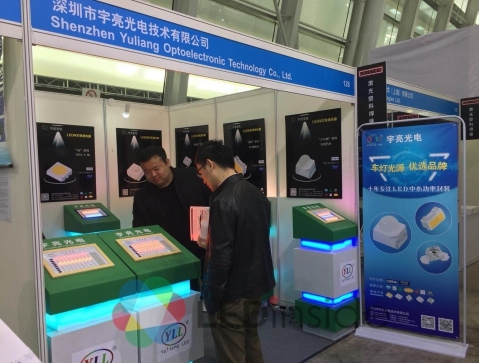 Yuliang LED has exhibited 5054, 2735 and 3014 package products. 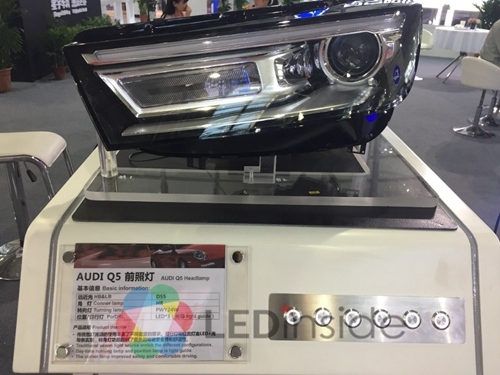 Xingyu has exhibited headlight for Audi Q5 and tail light for BMW 2. According to LEDinside 2017 Chinese Automotive Lighting Market Report, the conventional passenger car in 2016 in China hit 22.50 million cars and by 2017 the number is expected to have reached 23.80 million with a hike of 5.8% YoY. The market was mainly under the control of joint ventures before 2016, whereas after 2016 the sales of domestic automobile brands rose annually when Chinese automakers advanced their production quality. The passenger car market is anticipated to increase with more and more emerging cities showing up. Amongst those, automotive front lamp market always receives the highest market attention. 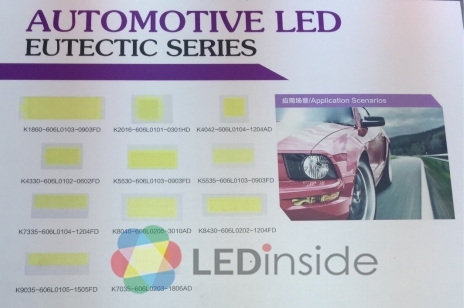 Especially high /Low Beam, despite high prices, major international automotive lighting manufacturers are keenly developing mid/low range LED headlamps in China to not only cater to the demand of local market but to reduce the development and production cost. However, at this moment in China, noticeable LED headlamp use can only be witnessed in the high- and mid-range auto market. Compared with the average LED penetration rate of 12% in the global headlamp market, that in China is only 2% in 2017. 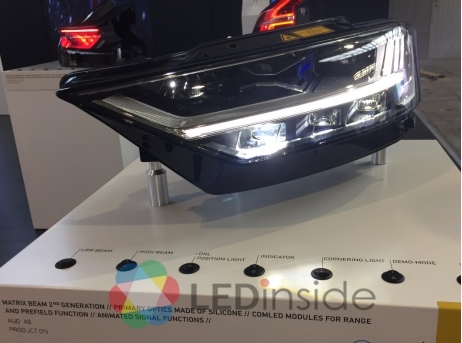 LEDinside is going to releasing 2018 Chinese Automotive Lighting Market Report, stay focused on Chinese automotive lighting market trend. Please sustained attention to LEDinside!